Kate Simmons has always encouraged Dancers at KS Dance to explore their creativity, passions and expression. In 2019/2020 KS Dance will be attending and creating more events than ever: with Dancers entering the BBC Young Dancer competition, Barbara Geoghegan Awards and more. However, there is a lot more to being a young Dancer than competition. Choreography events give the students of KS Dance the opportunity to create their own works and move in their own unique way. KS Dance prides itself on Dancers being able to choose their own pathway. If you wish to pursue a career in Choreography, Commercial Theatre or build their own Dance Company, KS Dance will support you. If you dream of entering a Classical Ballet, Contemporary Company or Joining a West End Musical, KS Dance will help you and guide. Following our School Audition, Your path at KS Dance is unique. Our Student-led Allegrodance Touring Company is also back with a UK tour in 2020. KS Dance will be hosting our school audition for the Full Time Professional Training Courses in Dance, Ballet and Teaching on Tuesday 13th November. 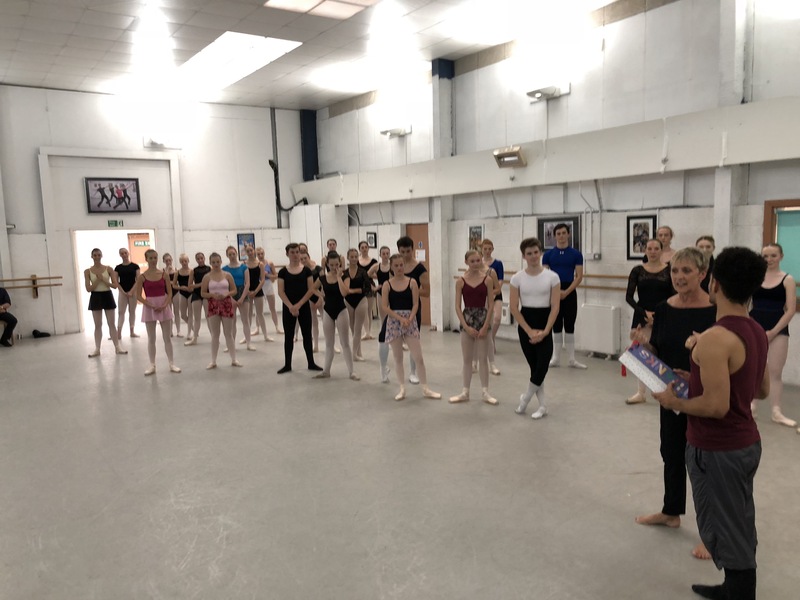 This audition involves a Ballet Class and Jazz Assessment as well as an informal interview with Principal to discuss the aspirations and goals of the Dancer. Bursaries and Funding are available based upon success at audition and means testing. In addition to our school audition, KS Dance will be hosting Open Days on Wednesday 14th and Thursday 15th November. We do recommend that Dancers attend our audition and then subsequently come along to our Open Days to enjoy observing the classes and demonstrations without an audition looming. This also allows you to discuss queries with Teachers, Staff and Current Students at KS Dance. Over the next year the School will be performing at a variety of events across the UK giving our Dancers the opportunity to attend auditions for Dance Companies and Events of their choice throughout the year. In order to register for a application form: Please Click Here and Request a Prospectus. In 2020, The KS Dance Touring Company, “Allegrodance”, is back. We will be touring with Peter and The Wolf as our short Ballet, designed to bring enjoyment to our regular ballet patrons but also offer the opportunity for children and young people to experience Classical Dance for the first time. The purpose of The Allegrodance Touring Company also serves to give professional performance experience to students of KS Dance. With so many employees looking for performance experience at audition, Allegrodance gives insight into the life of a touring company and allows the Dancers to work with and educate young people in the art forms.